Dr. Ouellet is professor of Defence Studies at the Royal Military College of Canada, and at the Canadian Forces College (Canada’s Joint Staff and War College). 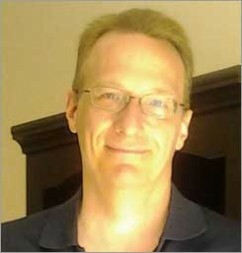 He has a Ph.D. in sociology from York University (Toronto, Canada), and he is the liaison officer for Canada with the Parapsychological Association. He has published parapsychological work in the Australian Journal of Psychology, EdgeScience, and the Bulletin Métapsychique. His other research works focus on military sociology and war studies. In his publication "ILLUMINATIONS: The UFO Experience as a Parapsychological Event", he describes that the UFO phenomena could be related with sociologic events, where he re-evaluates the UFO wave of 1952, the Betty and Barney Hill abduction in 1961 and the Belgian UFO wave between 1989 and 1991 in a pragmatic model of psi effects within a social dimension.